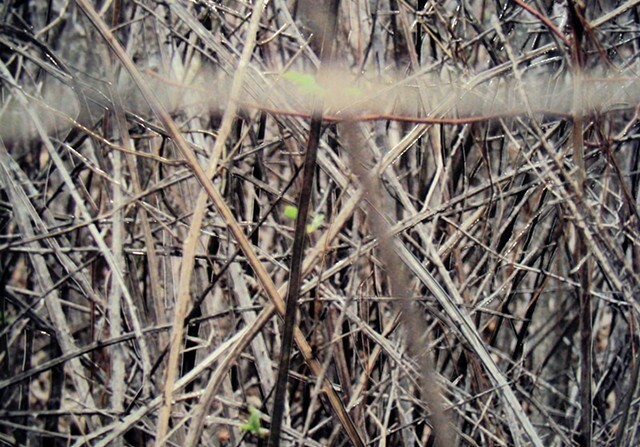 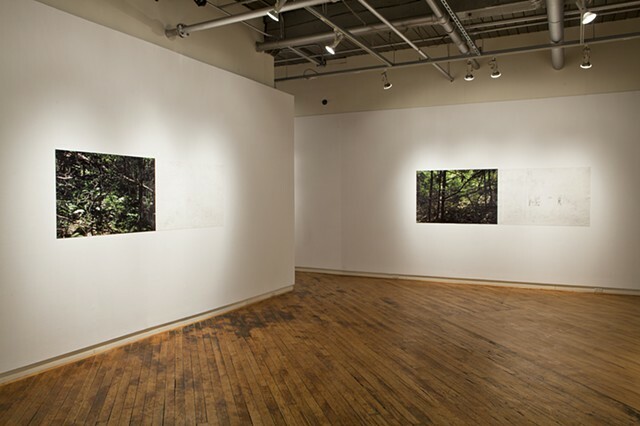 Installation View, "Clear Cut" at Gallery 44: Centre for Contemporary Photography. 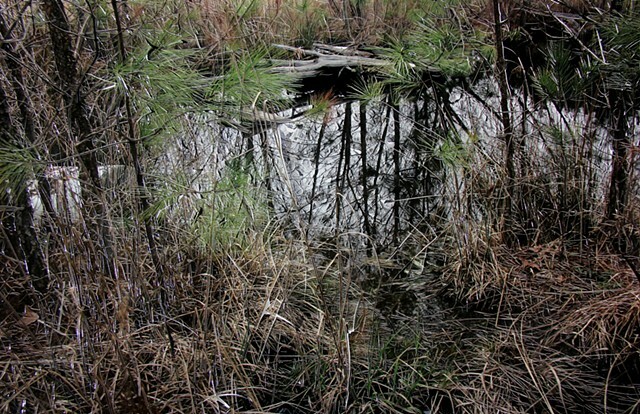 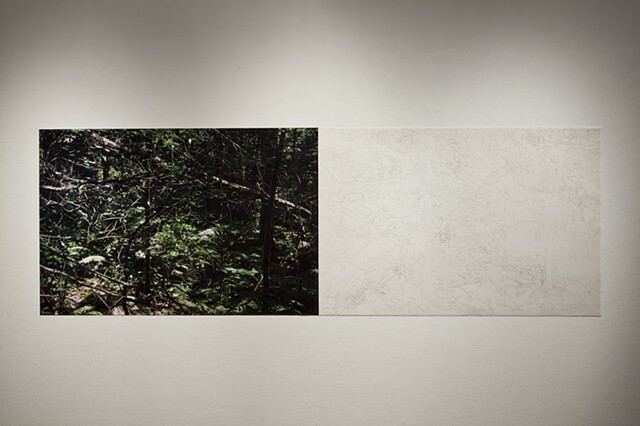 Installation View, "At the Edge of an Unfamiliar Forest"
Since 2006 I have been documenting a forest on Minnechoag Mountain, about 40 miles west of Thoreau’s “Walden,” as it slowly disappears. 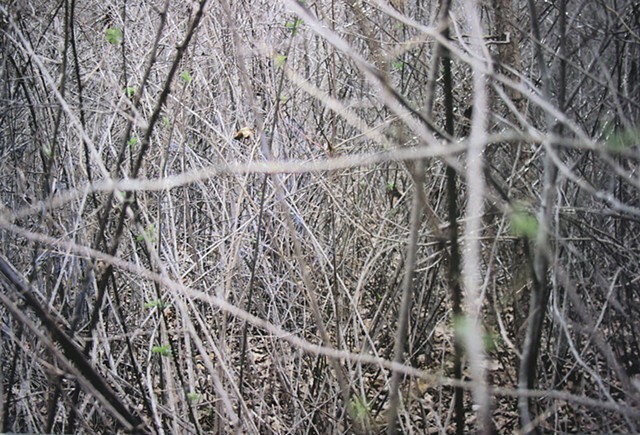 Once part of the vast New England woods, this thin strip of forest now owned by my grandmother is now sandwiched between a gravel pit and a subdivision. 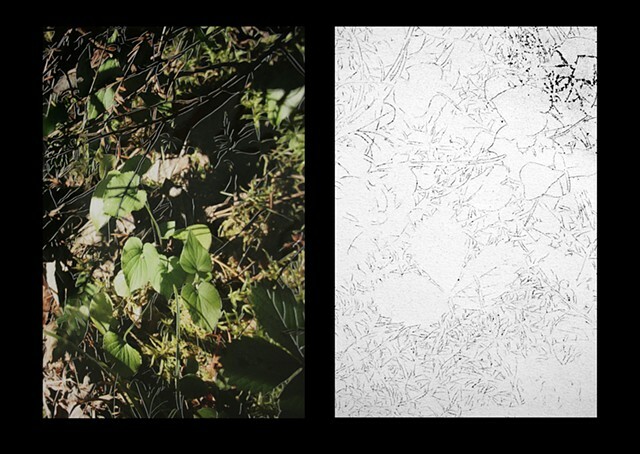 Initially I took thousands of photographs of the woods, determined to record the nearly every leaf and tree in this 31- acre woodlot. 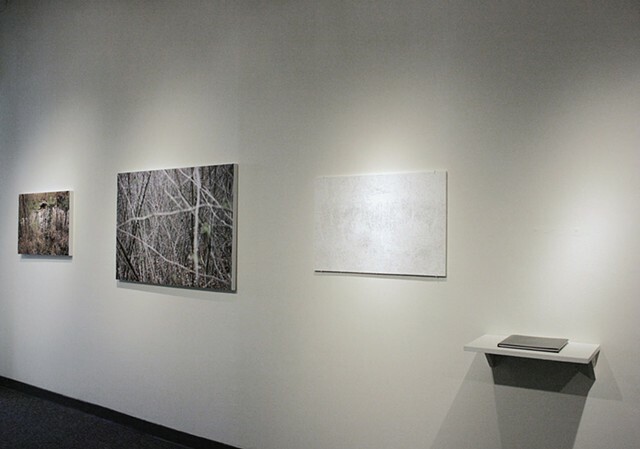 When I pinned up the pictures in my studio, the forest appeared only as a scenic backdrop: a flat, seamless space without a focal point, a timeless landscape without growth or decay. 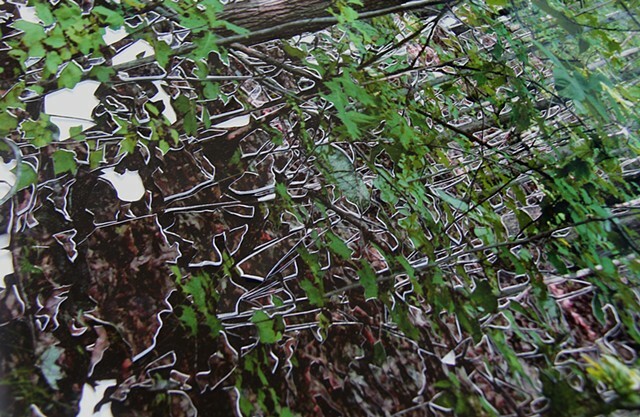 To disrupt the continuity of these images and the illusion of an impenetrable forest that they produce, I cut into my photographs by hand using an x-acto knife, following the contours of every form. 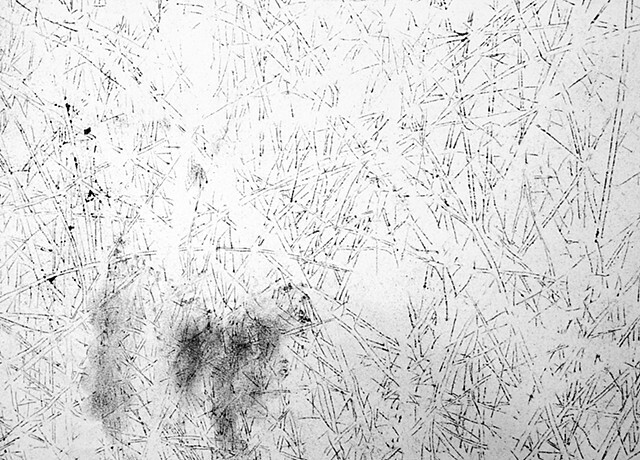 To record this process of cutting apart the photographs, I insert graphite transfer paper between the photograph and a sheet of drawing paper as I work. 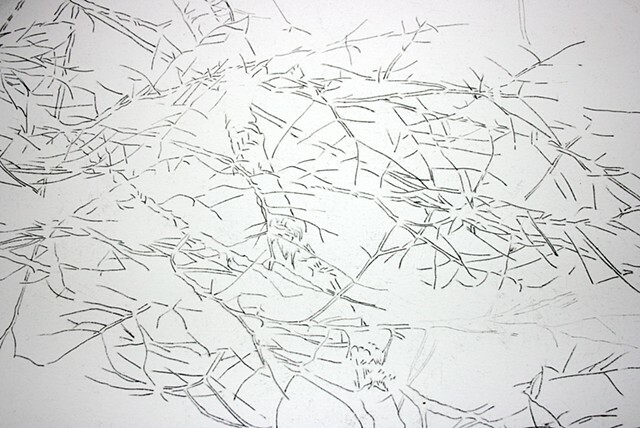 The resulting transfer drawings record the pressure of my touch on the image as darker lines are made when I cut more deeply into the photograph. 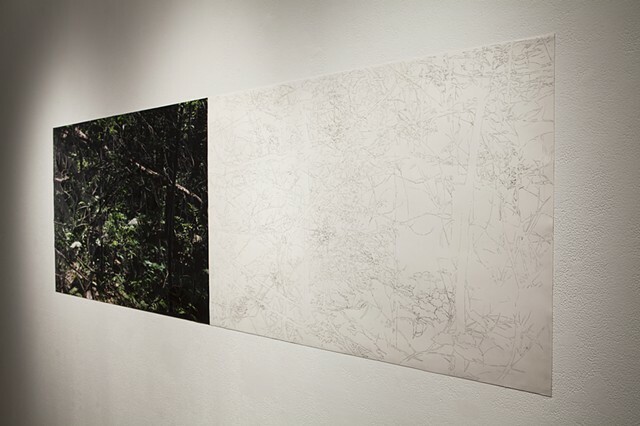 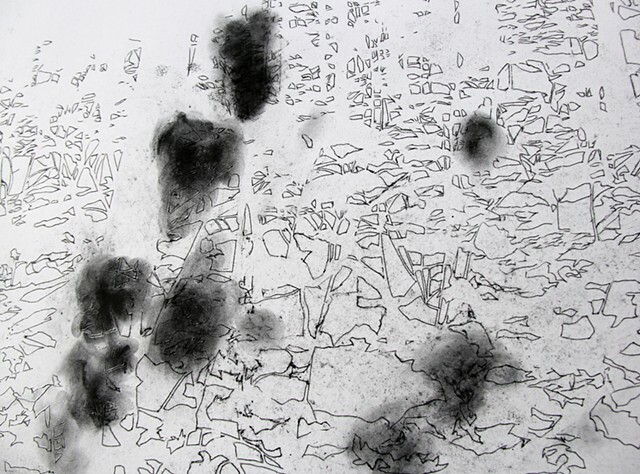 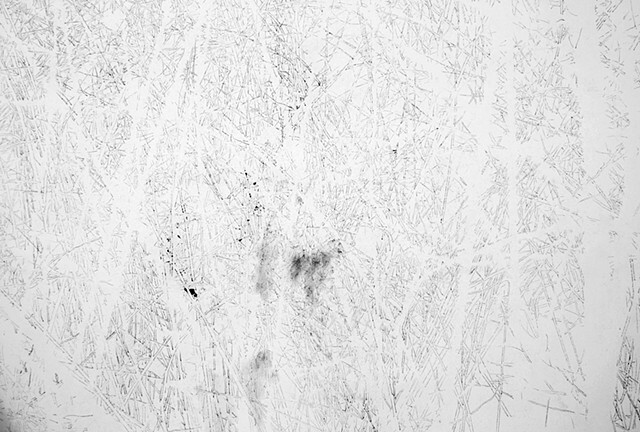 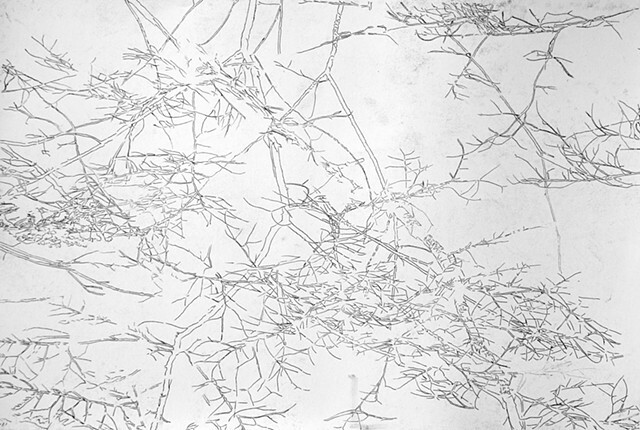 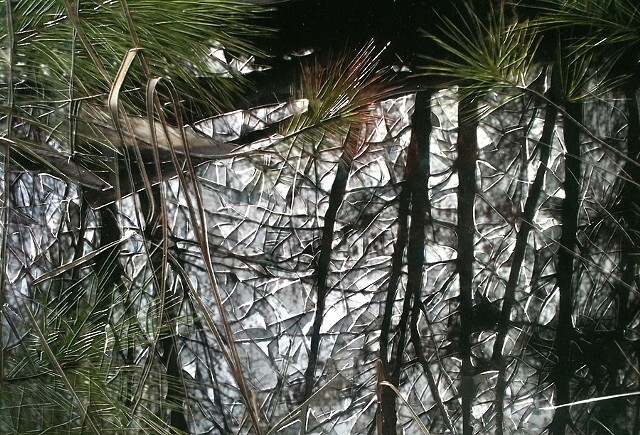 Both the transfer drawings and the cut photographs slowly degrade mirroring the cycle of emergence and dissipation that occurs naturally in the woods. 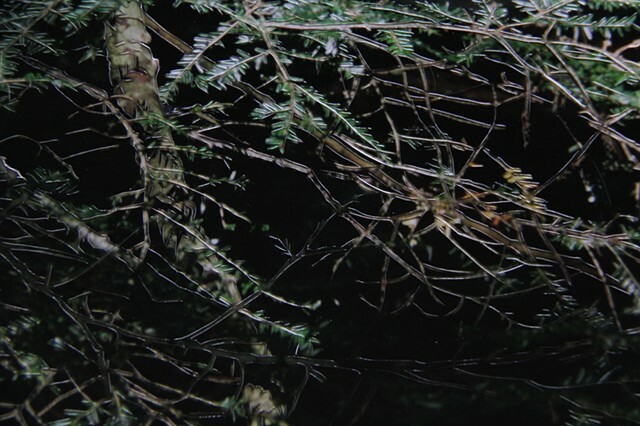 The forest on Minnechoag Mountain is geographically and temporally a site in flux. 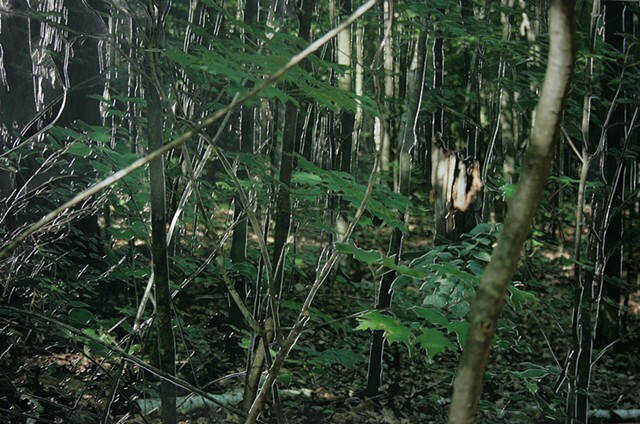 There is undoubtedly the reality of its impending demise, but this forest is also part of the same New England woods immortalized in the massive landscape paintings of Thomas Cole, the writings of Thoreau, the poems of Robert Frost, and the stories of Nathaniel Hawthorne. 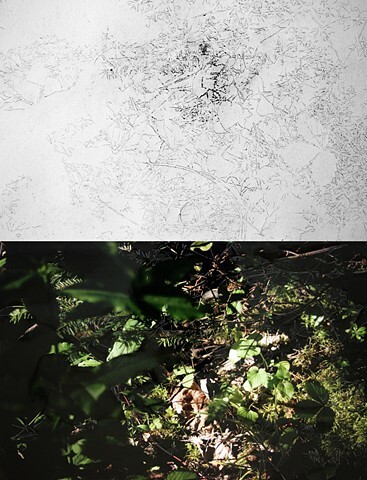 Trying to bridge, the gap between the lived experience of this liminal forest and how it has been represented continues to fuel new transformations in my work and new techniques for altering the images.